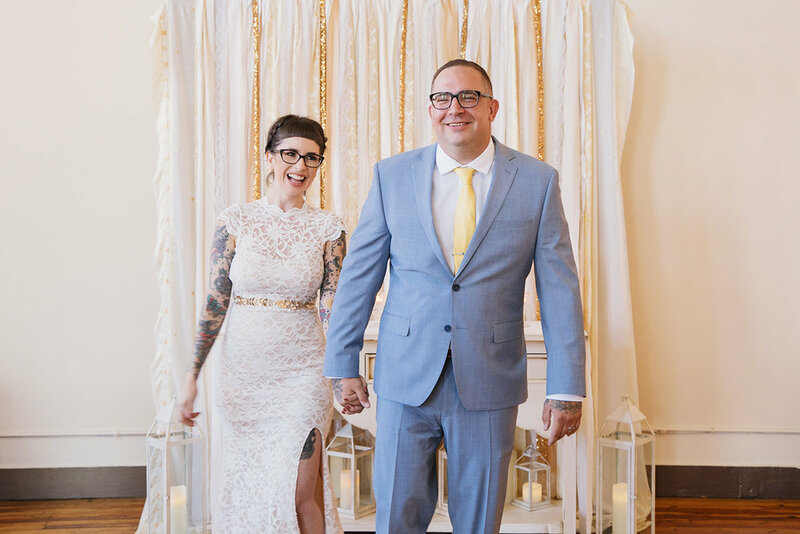 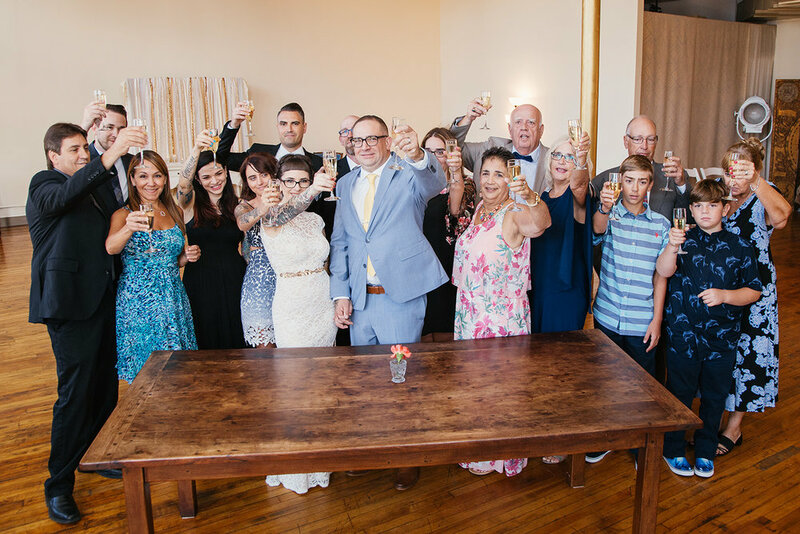 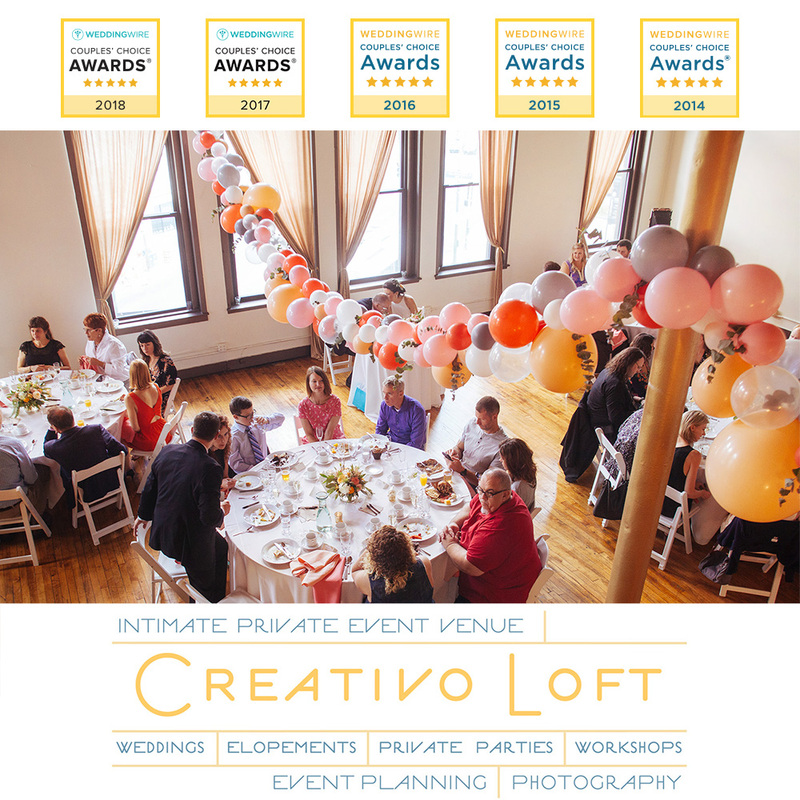 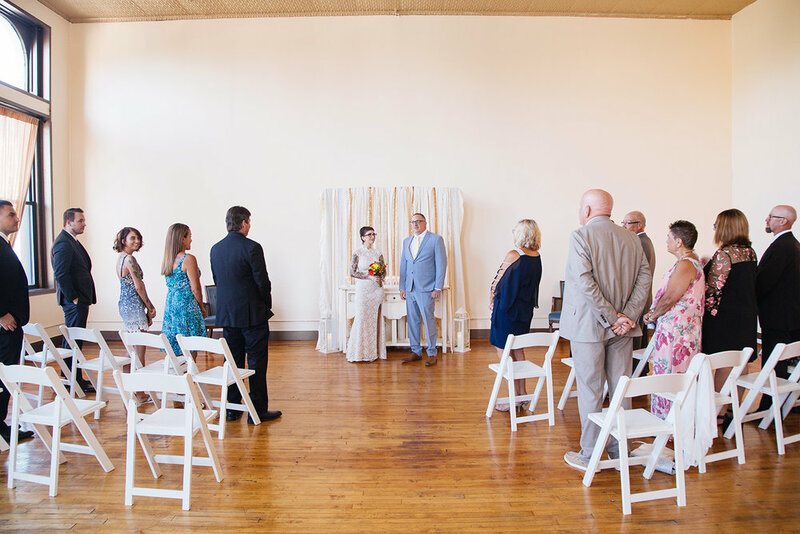 Shannon and Tony celebrated their summer elopement wedding at Creativo Loft in Chicago with a small group of less that 20 people. 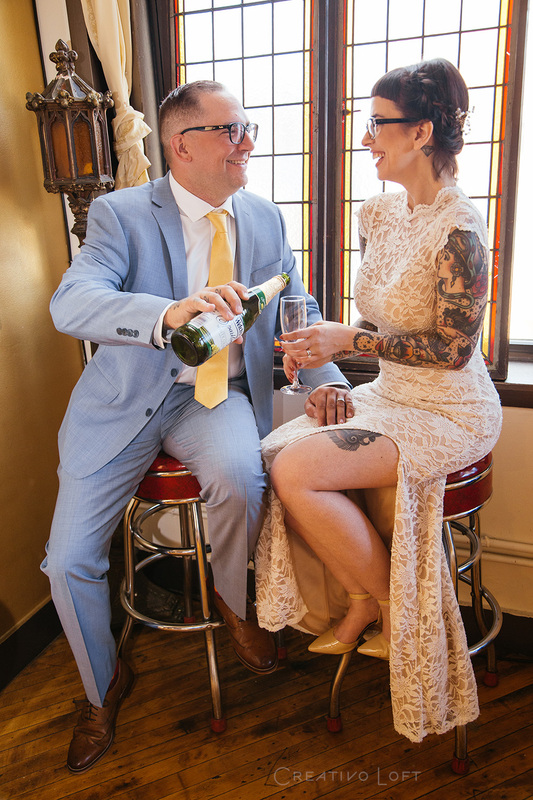 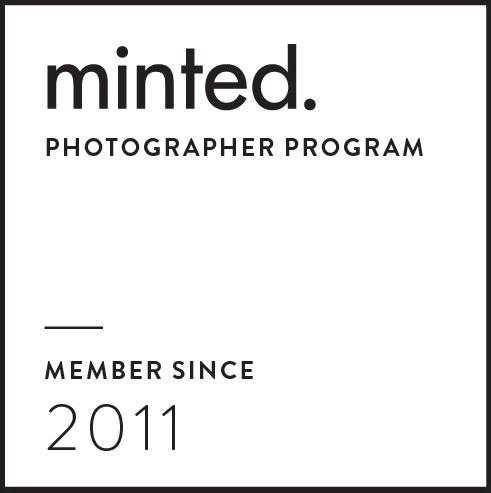 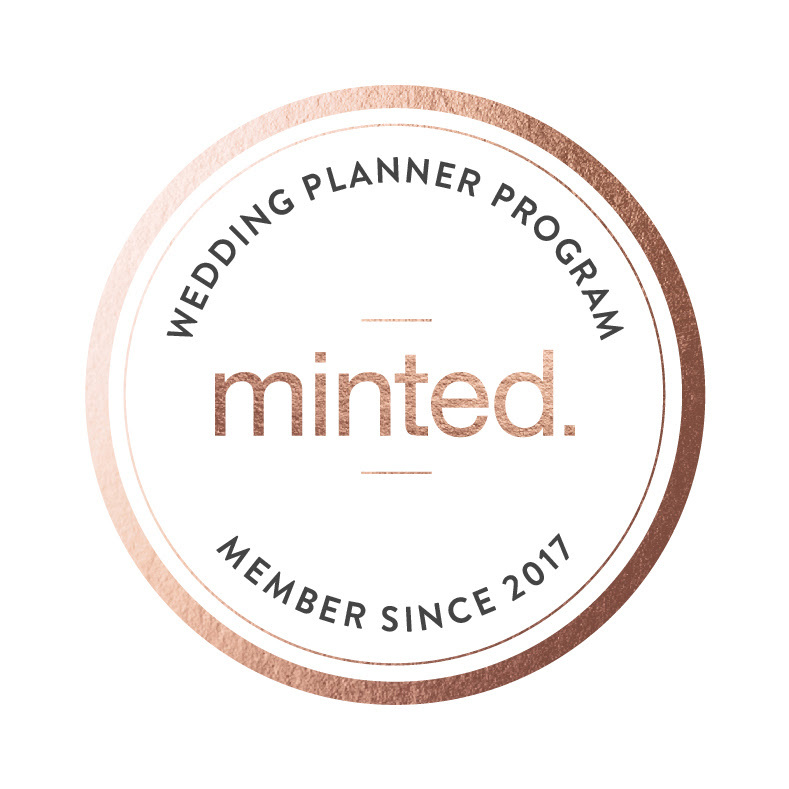 They booked our Group Elopement package, which includes 2 hours for a wedding ceremony, portraits, champagne toast and time to visit with guests. 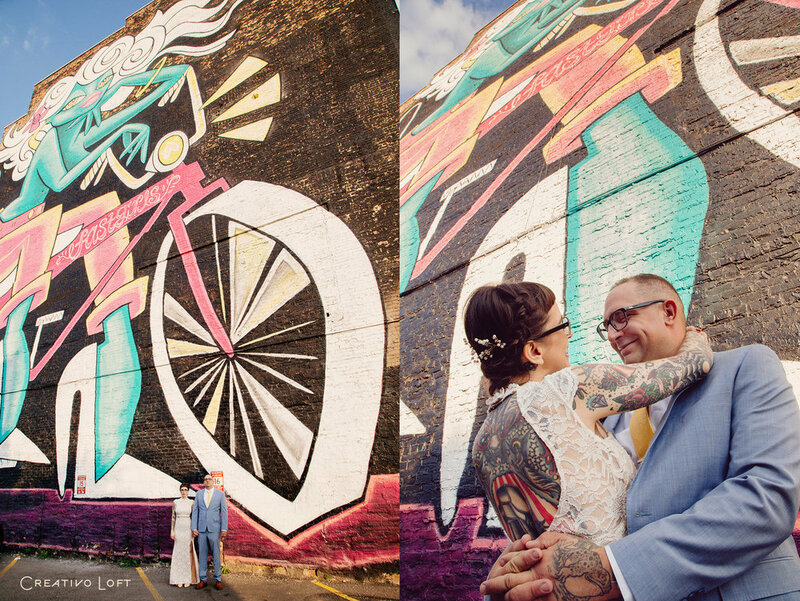 The adorable couple also walked around outside of our building for some portraits, including in front of this giant bike girl mural. 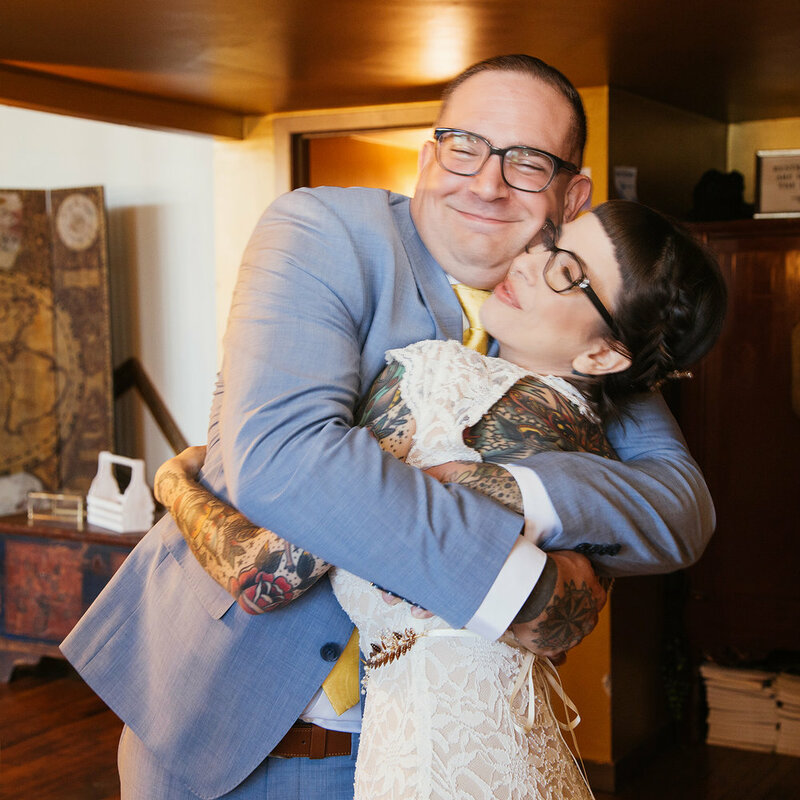 Congratulations newlyweds!